December 4th, 2012.- Public Power Corporation (PPC), the largest electric utility in Greece, is using AleaSoft price forecasting models to optimise its operations in the Italian electricity market (IPEX). AleaSoft forecasting service was selected on the basis of the quality demonstrated in product trials. Public Power Corporation S.A. (PPC) is the biggest electricity supply company in Greece with approximately 7.5 million customers. It is also the biggest power producer, with a total installed capacity of approximately 13,000 MW, representing 70% of the total installed capacity in the country. 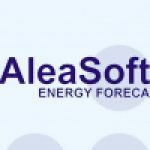 AleaSoft provides short and medium term price forecasts for the major European electricity markets, such as MIBEL (Spain and Portugal), Powernext (France), IPEX (Italy), PHELIX (Germany and Austria) or N2EX (UK). AleaSoft is continuously working in the development of models for new markets, personalizing each model to the particular features of each market. AleaSoft complements the electricity price forecasting service with forecasts related to other price-related variables, in which market players are also interested, such as forecasts of commodity prices (Brent, Gas, Coal, CO2 emissions), electricity demand, production by technology (wind, hydro and solar) and meteorological variables, also influencing the electricity price. With this new contract, AleaSoft reinforces its internationalization and its leading position as a provider of electricity price forecasting models. These models are being used since 2002 by major European market players, such as: Endesa, E.ON España, Gas Natural Fenosa, Electrabel–GDF SUEZ, E.ON Italia, Iberdrola, Shell, BBE, Statkraft y ContourGlobal, etc.